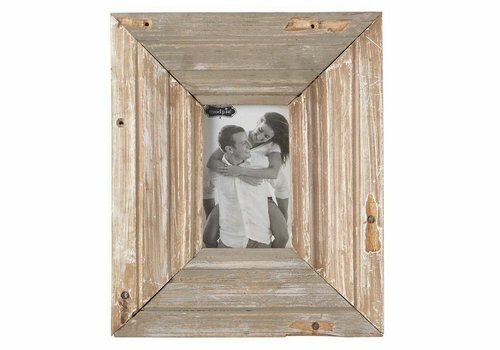 Reclaimed wood rustic frame features beveled accent lines, aged and exposed nailhead detail, holds 7" x 5" photo inserted through back of frame, stands with wooden easel and arrives with hanging hardware. 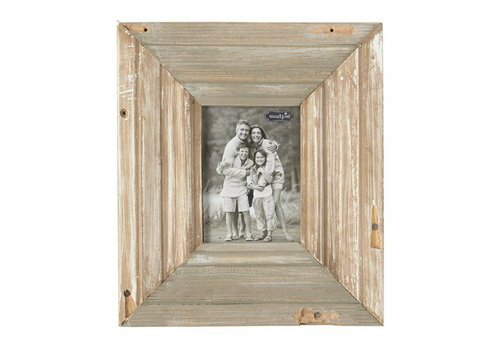 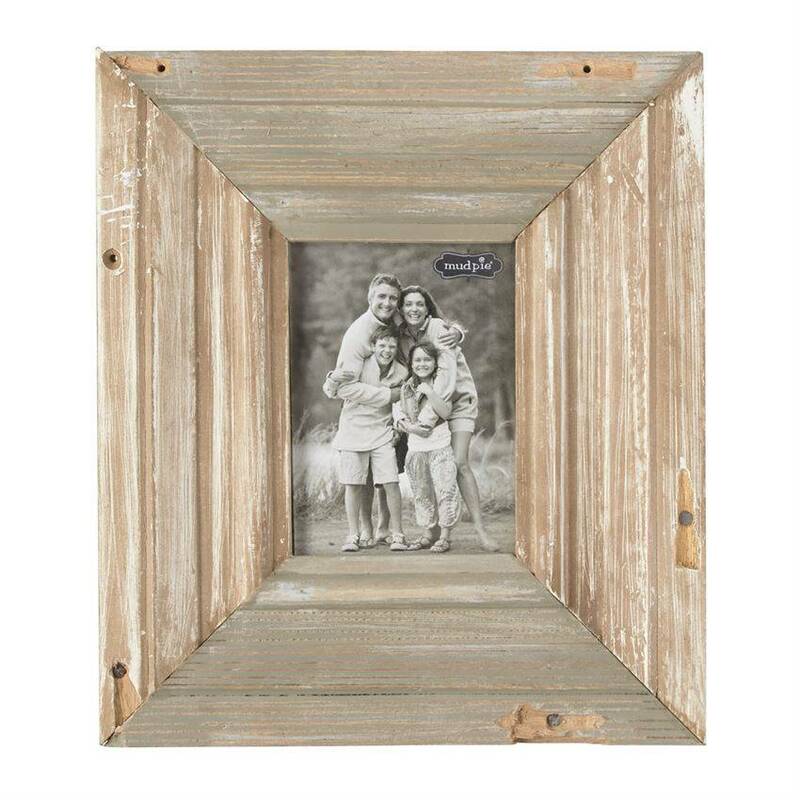 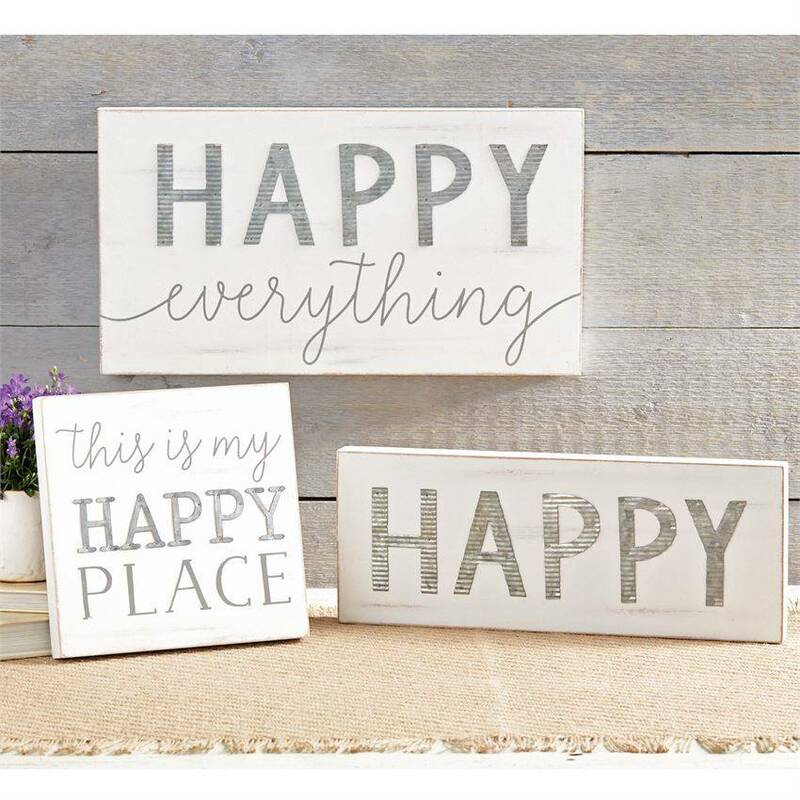 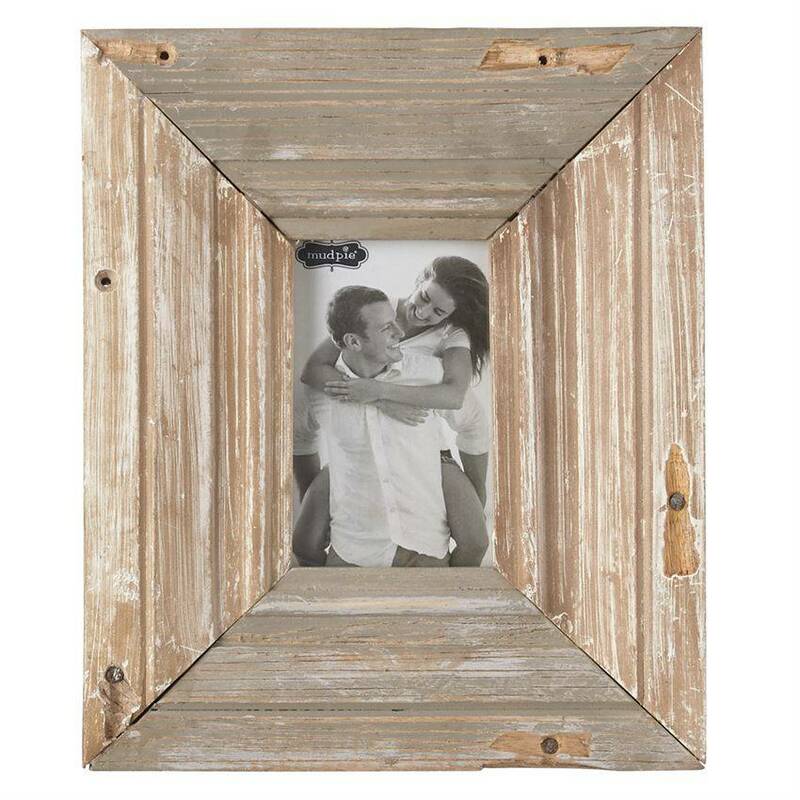 Large reclaimed wood rustic frame features beveled accent lines, aged and exposed nailhead detail, holds 6" x 4" photo inserted through back of frame, stands with wooden easel and arrives with hanging hardware. 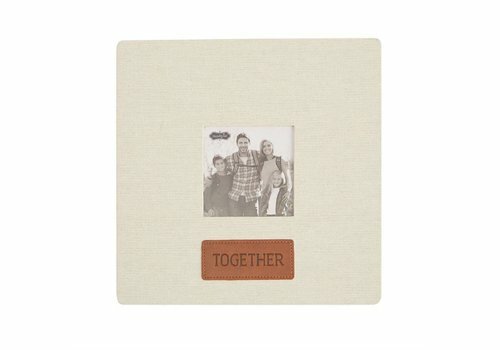 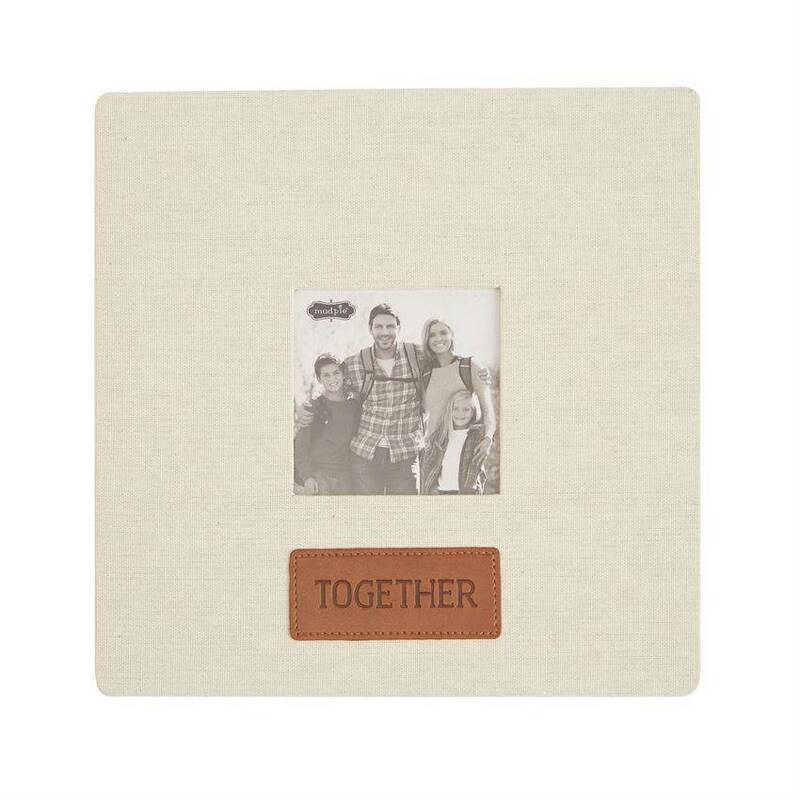 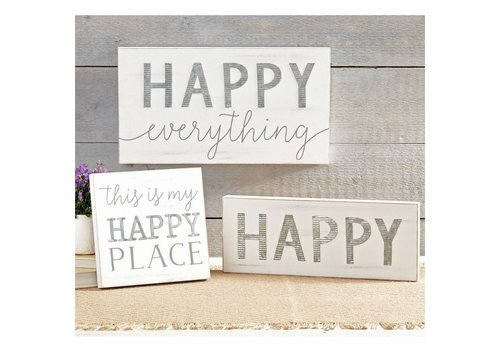 Linen "TOGETHER" frame features faux leather corner patches and sentiment tag.